The new drama Birthday, featuring veteran stars JEON Do-yeon and SUL Kyung-gu, has been selected as the opening film of this year’s 21st Far East Film Festival (FEFF), which will take place from April 26 to May 4 in Udine, Italy. From debut director LEE Jong-un, the Sewol Ferry-themed drama is produced by acclaimed filmmaker LEE Chang-dong. 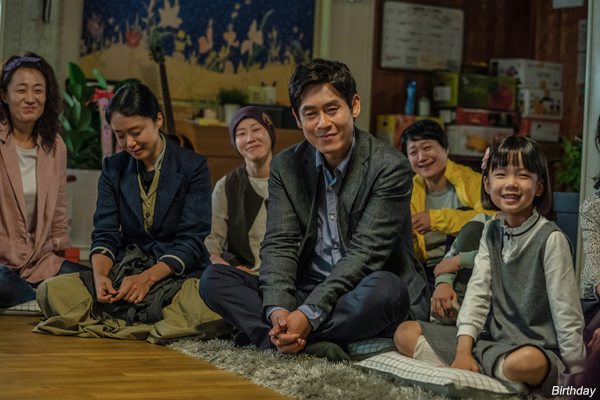 JEON and SUL play parents who try to keep their family together after one of their children is involved in the Sewol Ferry tragedy, an incident that claimed the lives of over 300 passengers on April 16, 2014. Almost five years after the events, Birthday debuted in Korea on April 3 to a strong critical reception and will have its international premiere in Udine on April 26. One of Korea’s most respected performers, JEON is known for her many leading roles, which include LEE Chang-dong’s Secret Sunshine, for which she earned the Best Actress Award at the Cannes Film Festival in 2007. SUL is also known for his works with Director LEE, which include A Peppermint Candy (2000) and Oasis (2002). Director LEE Jong-un previously served as an assistant director on LEE Chang-dong’s Poetry (2010). As a producer, LEE Chang-dong has also made films such as A Brand New Life (2009) and A Girl at My Door (2014). His most recent work as a director was last year’s acclaimed BURNING (2018).